Whether your a large blue-chip giant or the humblest small business you have a responsibility to your employees. Under UK health and safety law employers have a duty of care to manage stress in the workplace. There are well-known cases of employees in large organisations receiving large financial awards after experiencing undue levels of stress at work. These sums can run in to several hundred thousand pounds. And that’s without legal costs! In addition, the UK Government Health and Safety Executive website has some frightening statistics. A whopping 3.6 billion pounds a year is lost to stress related illness. So no wonder that in 2014 the Government set up a multi party parliamentary group to study how mindfulness can effectively reduce stress. On the back of that the government is now sponsoring Mindfulness schemes across the country. So why not jump on the band wagon. By demonstrating you take employee well-being seriously you’ll mitigate the risk of stress related litigation. Not only that, you’ll retain key members of staff, improve productivity and have a happier workforce. Not a bad result! 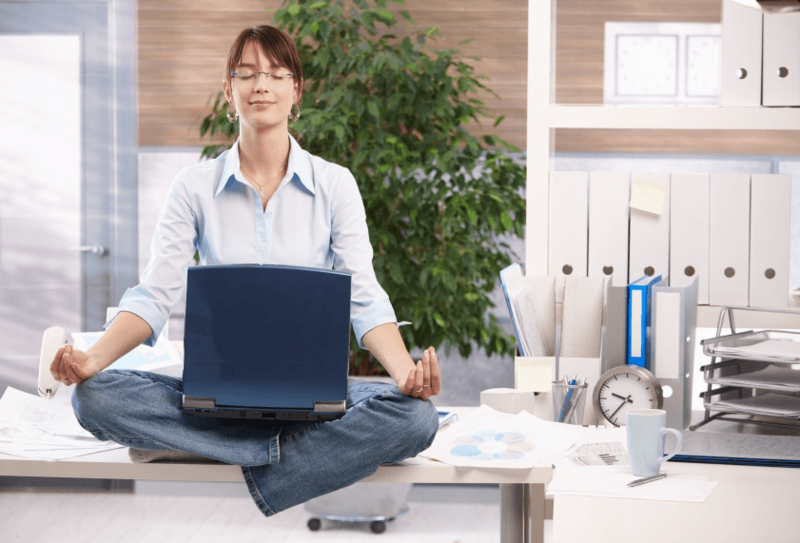 There are different ways to embrace Mindfulness in the workplace. Mental Wellness Counselling provide a personal, bespoke approach to meeting your workplace needs. We tailor all our Wellbeing at Work programmes to meet your specific criteria. Whether you want on-site or off-site training, introductory taster sessions or dedicated week long courses, we’ll work with you to understand your exact requirements. We’ve been doing this a while now. Questionnaires taken before and after our programs prove the effectiveness of our approach. As does a database of satisfied clients and referrals. Moreover, the scientific evidence supporting Mindfulness keeps accumulating. A 40% reduction in stress. Other studies produce similar results. The key to the effectiveness is awareness. It is learning to live with experience as it is. It is getting out of our heads and increasing our gratitude. And it is learning to listen and communicate more effectively. Most noteworthy of the studies are those that link Mindfulness to increased emotional resilience. The results very clearly demonstrate that participants who engaged with mindfulness over a period of 6 to 8 weeks felt remarkably different. They stated that they felt happier, had more energy and much less stress than before the programme. If you’re interested in learning more why not give us a call to discuss. Our bespoke services may be just what you require. With stats like the above can you afford not to give Mindfulness a try? In doing so you’ll be building your workforce’s strength and resilience not just for now but for life.